Mr. Morgan said Canton Rescue Inc. will not be a burden to Canton taxpayers and the new acquisition will help boost the department’s revenue. He added this upgrade in services will also prove beneficial to neighboring departments faced with manpower issues. “We will be in a perfect position to help,” he said. The sale, at an undisclosed price, will include seven ambulances on an approximate four-acre lot and will remain on the tax rolls. The site also has a pond that holds 550,000 gallons of water which would significantly enhance the fire department’s water availability. Owner R.B. Lawrence III said he was pleased to have Canton Rescue take over the business. “It’s definitely a good thing because in a large way the Canton Fire Department has been a strong proponent of us doing what we do. We were there to assist them with any ambulance assistance,” he added. He said his father, R.B. “Buster” Lawrence Jr., helped create an ambulance service within the Canton Fire Department in the late 1920s. For many years, the business was housed on Nickerson Street in Canton, then relocated to Park Street and in 2007 to its current site on Route 11 South. Alan Rudy is the director of operations at R.B. 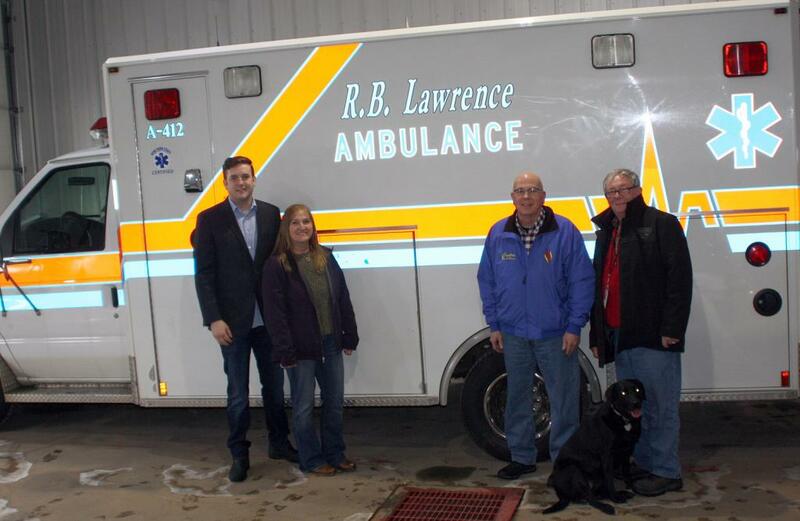 Lawrence Ambulance Service, who oversees 12 full-time salaried employees and approximately 13 part-time people. Mr. Rudy is also a paramedic, the highest level of emergency medical technician (EMT) certification. The ambulance service provides EMT Critical Care transports and Basic Life Support transport; mainly to Syracuse, Plattsburgh and Burlington, Vt.
Once the transaction is complete, the business name will change to Canton Rescue Squad and the headquarters will be named the R.B. Lawrence Ambulance Building.